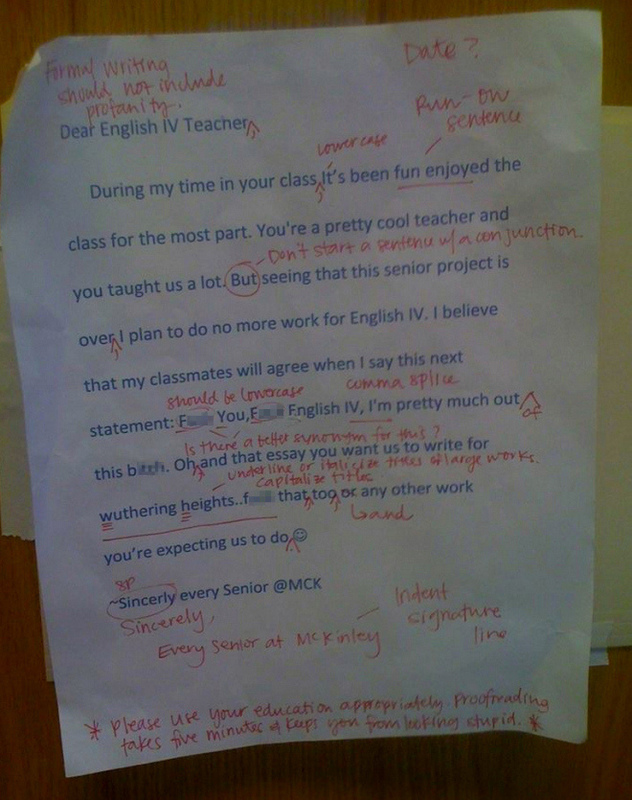 Sadly, this student didn’t get a great deal out of thier English IV class. In all seriousness, how is this kid graduating high school if he can’t even follow simple rules of grammar? Grammar and spelling is a problem for many, myself included, but one would think two months from graduation you would have a better grasp of it. At the very least they could have used spell check before hitting the print button.